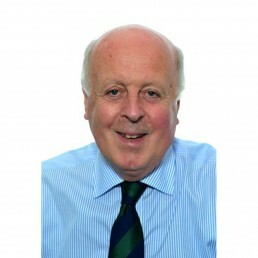 Richard Hutson is our expert on planning law, having many years’ experience in this field. He will use his vast knowledge and creative thinking to provide you with the most practical solution to your planning problem. Planning is a complicated area of law with complex policy and legislation that is constantly changing. Richard keeps on top of such changes in order to provide you with the most relevant advice, always aiming to relieve your stress and achieve the best possible outcome for your case. He will guide and advise you throughout a planning project including a listed building or a property that is situated within a conservation area. If you have been refused planning permission, he will endeavour to reformulate your case in such a way that it will give you the best possible chance of success on an appeal. Should you wish to object to a planning application by your neighbour, Richard is here to help you fight your corner. He can advise you on a compulsory purchase matter or an application for a certificate of lawful use. Should you have received an enforcement notice or planning contravention notice from the Council, Richard will advise you on your rights and responsibilities. Should you wish to make an application for change of use, for example, to turn retail premises into a restaurant or take-away, Richard is here to assist you every step of the way. Should you be a developer, Richard is able to advise you on development potential and the possibility of entering into option agreements. Please contact Richard for advice on any planning matter (with no charge for an initial enquiry). He will be delighted to assist you in any way he can.